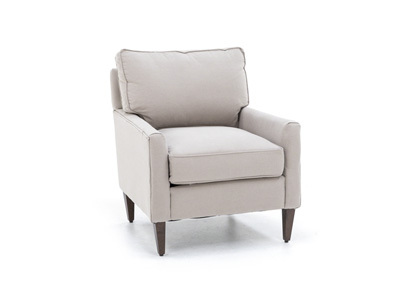 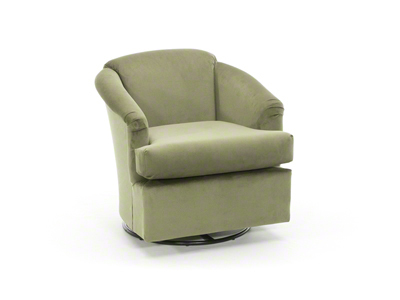 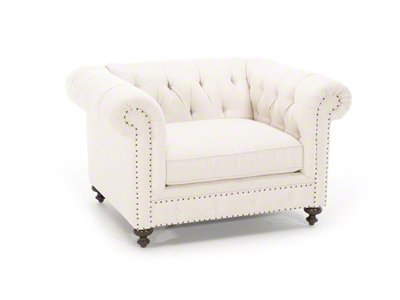 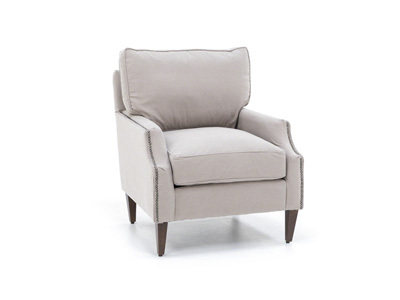 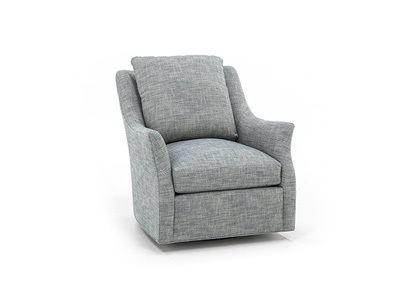 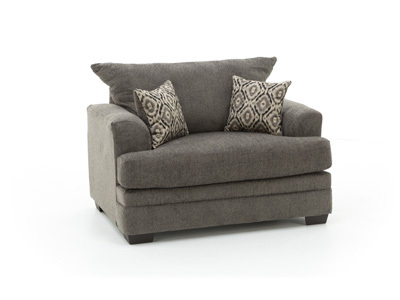 Effortlessly glide and swivel in the contemporary Darby barrel chair. 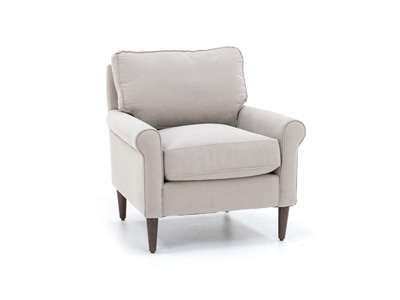 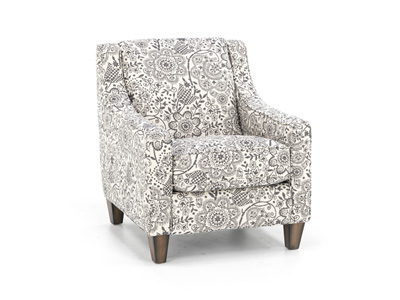 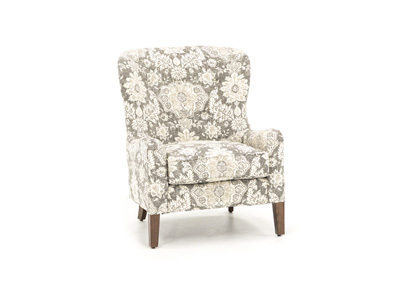 The Darby has a reversible seat cushion, slightly flared arms and a smooth pullover back, which is slightly taller than the backs of most barrel chairs. 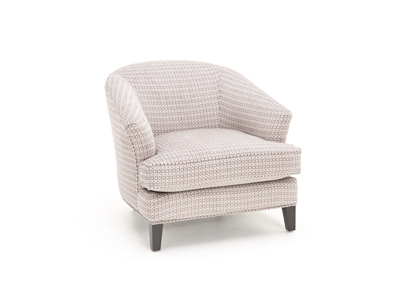 We stock this versatile chair in a nubby woven fabric with natural yarn slubs, in a vivid mix of terracottas, maize and plums, or you can special order from hundreds of fabric choices. 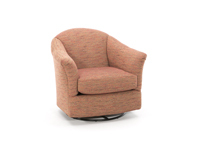 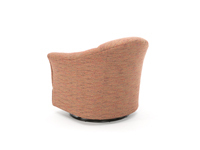 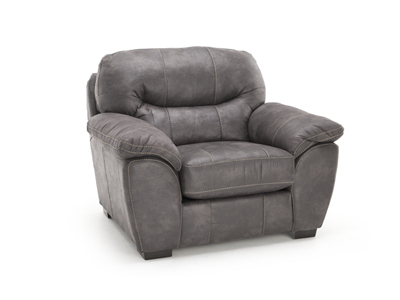 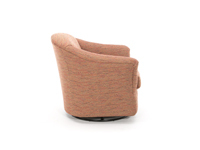 Additionally, the chair is available by special order as swivel without the glide motion. 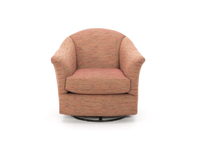 Effortlessly glide and swivel in the “Darby,” a contemporary barrel chair. 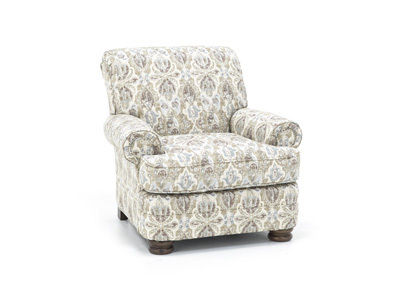 The Darby has a reversible seat cushion, slightly flared arms and a smooth, pulled over back, which is slightly taller than the back on most barrel chairs.